Women’s issues have been brought to the forefront recently and claim a much-deserved space in the public discourse. But for all the talk of feminism getting into a very public transformation, there are still some women’s voices who remain unheard – those of women coming from culturally and linguistically diverse backgrounds. Harmony Alliance aims to change that. 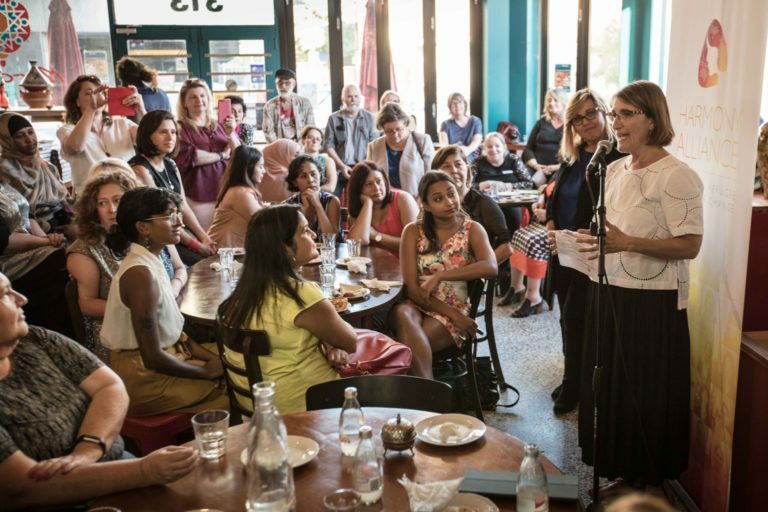 Soon after the organisation’s recent launch in Melbourne, Chair Maria Dimopoulos talks to Neos Kosmos about the need for a body that focuses on migrant and refugee women, and dispels certain myths about Australia’s “advanced western state” self-image. It is an important platform and voice for migrant and refugee women to be able to have input into policy decisions around gender equality. This was something that was missing, there is no doubt about it. When the Howard government came in, they couldn’t cope with the number of women’s organisations that were out there, so what they decided to do was to literally only give funding to five peak organisations. At the time there was a women’s alliance dedicated to multicultural and refugee women, but it got defunded by the Abbott government. 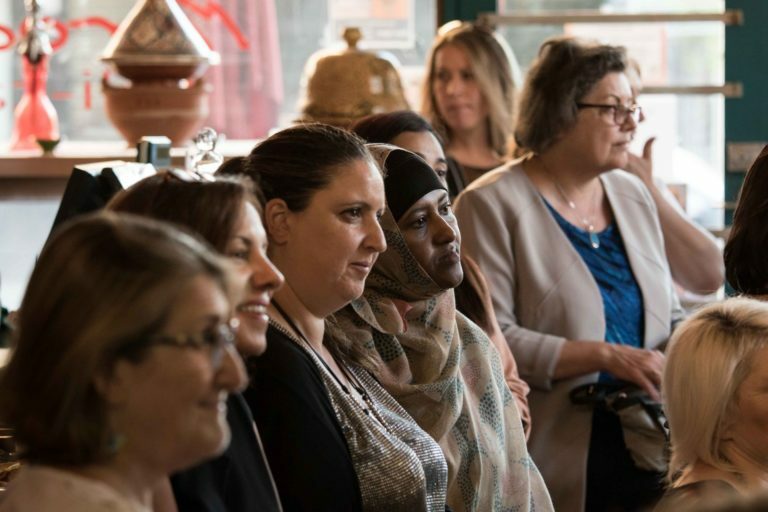 We have been fighting for a number of years to get a migrant and refugee women’s alliance off the ground and last year it finally got funded and is now auspiced by the migration council of Australia. Why is it important to have an organisation specifically focused on migrant and refugee women? As much as the other women’s alliances might have been trying to integrate intersectional issues, such as the conversions of racism and sexism and homophobia, often the way that issues are prioritised reflect more the interests and concerns of white women. They don’t reflect the very real and painful experiences of migration or of humanitarian entrants. These are the sort of things that we saw no narrative around and that’s the problem, that huge gap for migrant and refugee women. 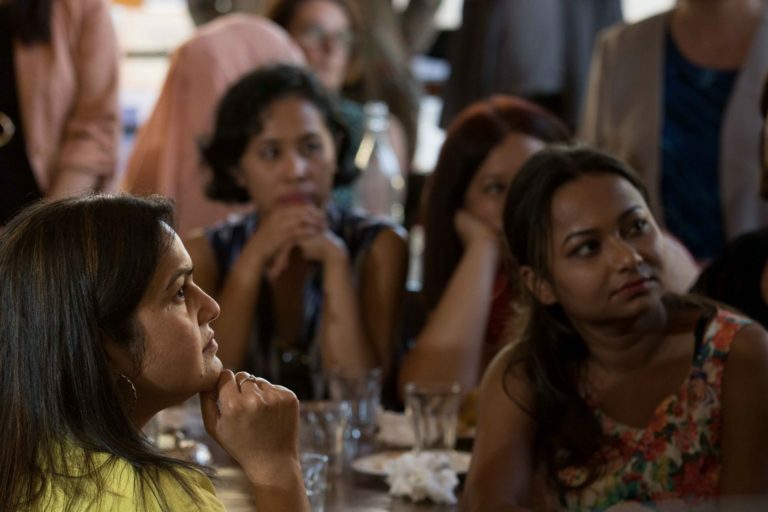 We are more likely to reflect the concerns that are impacting on our community, like racism and islamophobia, which are not reflected back in the broader women’s agenda. Why is it that the government has failed to address these concerns? Historically, there’s been an assumption of sameness, which has led to women of the dominant Anglo-Australian culture giving voice to issues of concern, like gender oppression. But for us it is not only about gender, it is also about race, about class, about all of these other things – and because that’s been too complex, it’s tended to be ignored. The government finds it hard to listen to voices that are more intersectional and more complex, but I think that’s changing, we are finding ways of articulating these issues. 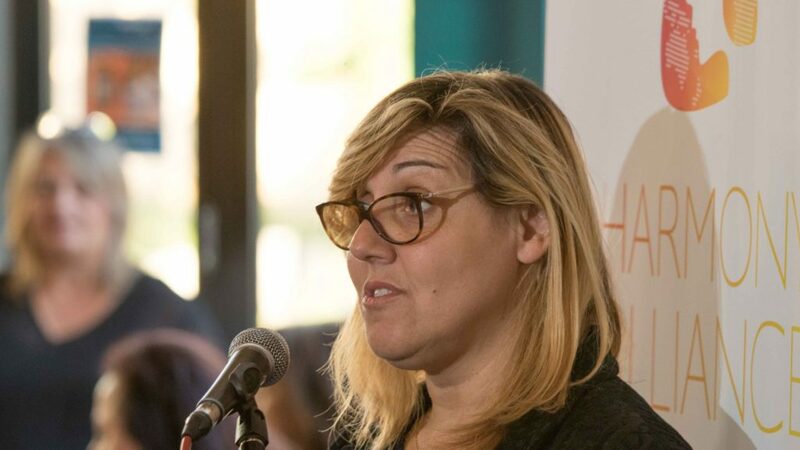 It is important to have people like Maria Vamvakinou, who stepped in to launch the Harmony Alliance in Melbourne because Helen Kapalos was unwell. As chair of the Victorian Multicultural Commission, Helen has met with the Alliance and ensured that gender issues are included. But at a federal level, which is where we’re operating, it is people like Maria Vamvakinou [who] have been a tremendous source of support and strength, helping our voice to get a bit louder and start to be heard in places where we couldn’t previously. How do you plan to take control of the narrative? What are your goals? We’ve got to stop the dominant narrative of looking at our cultural diversity as a deficit and start seeing it as a source of strength. We need to talk about representation, about employment opportunities and leadership opportunities. The issue of entrenched racism towards Aboriginal women has to be addressed and that’s one of the things that we’ve been working on right now. We’ve been speaking with the National Congress of Australia’s First People to see what we as migrant refugee women might be doing to support their struggles around a treaty, what our obligations are. It’s not only about our voices being heard, it’s also about how we contribute to ensure that voices of Aboriginal and Torres Strait Islander women are heard as well. What message does Harmony Alliance send to Anglo-Australian feminist organisations? We really welcome and appreciate collaboration and partnership, and we certainly want to commend some of these organisations that are asking questions about true social inclusion. But we are also saying: you need to move on and give other women a go. Are you willing to stop speaking for us and instead of going to Geneva and representing the voice of women in a human rights conference, move over and let an African woman have a go? Are you as prepared as you say to create opportunities? Because when you do, it’s not about helping women but enabling them to help themselves. And before our white sisters get too excited about how far they’ve progressed with gender equality, let’s not forget that Australia rates pretty poorly globally on gender equality. It isn’t that progressive. Countries like Greece are still doing better. We rate just below Uganda, globally, as a nation, in terms of pay parity, which is quite extraordinary. Egyptian women got the vote 200 years before the suffragettes even appeared in western landscape and yet this is a history that’s not told. It’s the mythology that somehow Australia, as a western nation is far more advanced. Right now, there are three state leaders in Africa and Australia found it hard dealing with one. There’s this idea that somehow we’ve reached gender equality in Australia and it’s all these other cultures and groups that are bringing us down. So it’s really important that we tell the history and the narratives of migrant and refugee warriors, women who’ve been doing this work for years but are never acknowledged, never recognised and continue to be silent. So if you ask me what our short-term agenda is, it’s to make sure that their histories, their stories, their struggles feature on the front page of feminist agendas everywhere. How can the experience of a Greek woman in Australia contribute to this? I think the sheer fact of migration changes you and it has to change your narrative. You can then go on pretending or completely obliterate that history – and sadly I do know some Greek women who’ve chosen to do that, they found themselves in positions of power in mainstream organisations and have chosen to completely disentangle themselves from a history of migration. I think that migration is a political process, it politicises you. You can then chose to ignore what that means and assimilate if you like. I, for one – and others like me in the organisation – have chosen not to. I chose to acknowledge the privileges that have been afforded to me by virtue of having two parents who dedicated themselves to working in factories so that their children can receive an education and to use that experience as a law reform activist to continue to look at what it means for migrant and refugee women and communities to go through that process. Many Greek women are using this experience of growing up and having to find strategies to respond to the racism that is still so pervasive, using their strength and resilience and voice to come up with solutions, and it is important to ensure that you don’t fall into the trap and be part of the very system that disempowers these people. In lots of ways we have a power that some other women who arrive now to Australia do not have; we need to acknowledge that privilege and use it in ways that empower others to have [a] voice to be able to take on struggles and be able to change the paradigm.